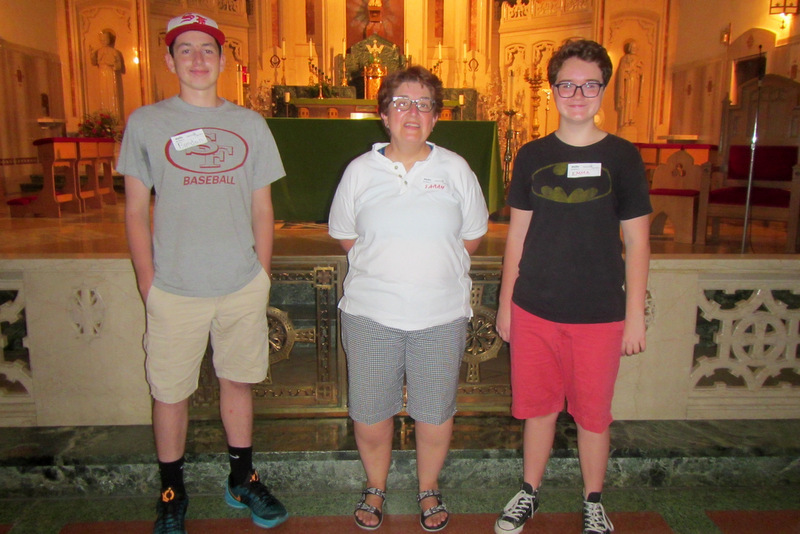 Emma and Brendan, students in the Faith Formation program at Sts Peter & Paul Parish, Hamburg, toured the church and grounds on Monday, July 24. As part of her effort to introduce her students to the churches, landmarks and outreach organizations in the Broadway-Fillmore area, Sarah Sutcliff, Director of Faith Formation, accompanies her students on their weekly service projects and visits. Thanks, Sarah, for including St John Kanty in your schedule!